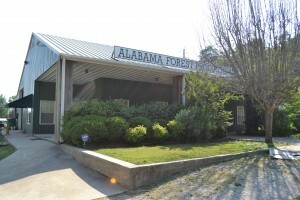 Welcome to Alabama Firewood Producers! 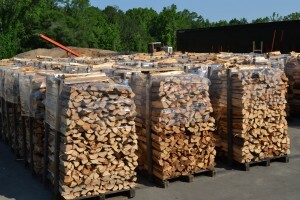 Since 1993, our mills have been processing Hickory BBQ wood/Firewood for customers all over the South Eastern United States. 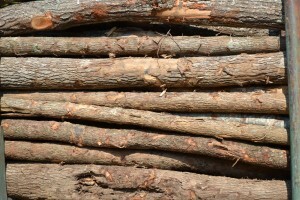 What started as a means to market Hickory pulpwood that was remaining on tracts of timber has become a separate and major sales area. Since purchasing our first processing mill we have sold wood to hundreds of retail accounts and thousands of residential customers. Currently, we maintain a commercial customer base of 80 to 100 restaurants that use our wood for cooking BBQ, fish, chicken, steaks and even pizza. The firewood mill in Pelham, Al. produces around 10 million pounds of Hickory & Oak Firewood annually. The wood purchased for this mill comes from tracts of timber harvested mostly by outside sources. Expect Consistency: We know our customers depend on reliable service. We check with our bulk load customers weekly to make sure they're never short on supply. Expect Conservation: We practice sustainability and conservation. 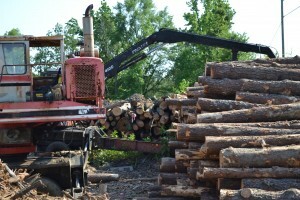 We purchase our wood from timber companies. That means nothing ever goes to waste. Every by-product from our mill is usable and marketable.